Microsoft has a track record of dropping multiple SKU’S, before the Xbox One launches, Microsoft will announce two different versions of their console; one with Kinect 2.0 and one without. This gives gamers a chance to buy the Xbox One for one hundred dollars less. In today’s economy, buying a Console for $500 is just too expensive. Especially when your competitor is a hundred dollars less, I still don’t trust Microsoft, I lost the trust when they screwed us with this DRM rubbish. Microsoft is forcing kinect 2.0 down our throat’s plain and simple. Why r u blaming Microsoft for the DRM stuff? It wasn’t just their calling..
Everyone is glad they fixed a few Xbox One issues. Has everybody forgot it still has Kinect camera (which records you) and audio recording. I’m not buying it if they still have those. they just said they are taking the camera away. And really do you think their going to spy on you… so I guess because my phone has a camera on the front of it means its spying on me, that my laptop has one is it going to do that as well, if I buy the eye for ps4 will it spy on me. Oh no everyone want to see me in my boxers picking my nose… Get real……..
Umm, is this official or an opinion? Opinion its going to happen,Microsoft always had multiple SKU’S. As many people stated before, Kinect will NOT be separated from the X1, MS confirmed that like thousands times. Besides, if there were any different SKUs, that would be on other parts of the console… I wonder which ones though… Nah, forget it, it won’t happen, period. but like it or not, don’t give a damn, ps4 is my game! lol why you still wanna buy ps4? ps4 has no games, and worst controller! XBOX ONE has titanfall, project spark, dead rising 3, FORZA 5 and halo! PS4 has NOTHING! MGS, KH and FF15 will come to XBOX ONE too! Lol, what are you talking about? MGS is a playstation exclusive, it’s already been confirmed. To many people crying wolf ,especially since nothing has truly affected them or even inconvenience them at all . Such a sad state we live in. 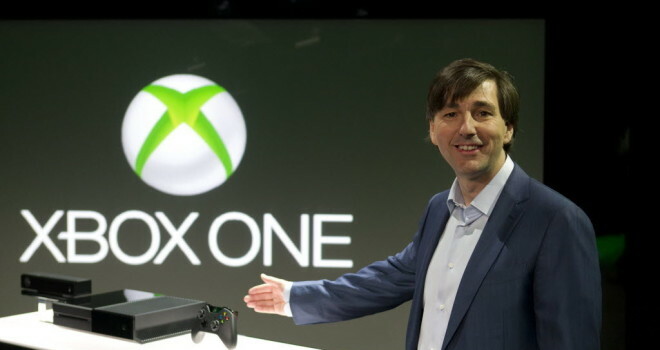 Microsoft lowers Xbox One price by $100! Now it’s the same price as PS4 – BUT one thing is MISSING! If this happens it will show how desperate Microsoft really is. And that they know they screwed up big. Lately everything they’ve done has flopped so don’t waste your money on the Xbone. It will probably end up with a RRoD problem. Lately everything they done has flopped? In order to flop, something must be released. Maybe the policies didn’t go over well with people, but they can’t flop, and the X1 can’t either until it is released. And “desperate”? Making consumers happy and responding to something they dislike is desperate? I think the word you’re looking for is business, they are a company. If times are that tough for you, don’t buy either console. I know $100 dollars is a notable difference, but you just shouldn’t be buying a console if you can’t afford one for $500. but can somehow manage to afford one for $400. $100 dollars really makes a difference. You act as if only the financially privileged should be able to play video games. This is the excellent inspiring report. We are in essence happy with your good operate. You established really a must have info….